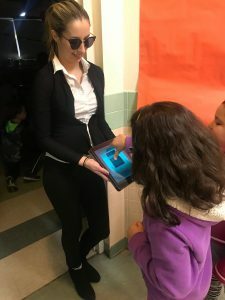 Miss Erika Smith’s student teacher, Miss Taylor Mackowsky, from West Chester University, planned an engaging lesson for their third graders to help them review for PSSAs which was inspired by Hope and Wade King’s teaching philosophy, “Set the Stage to Engage.” When the students came back from music class, Miss Mackowsky was dressed like an FBI agent with a fingerprint scanner, welcoming the students into “FBI Headquarters.” With the walls and windows covered in black paper, the classroom easily transformed into a secret detective center using black light bulbs. 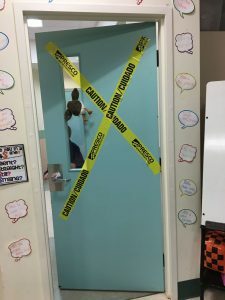 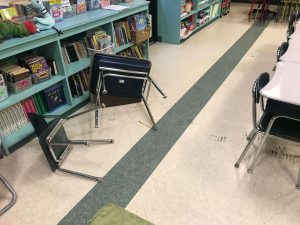 The crime scene in the center of the room immediately intrigued the class. 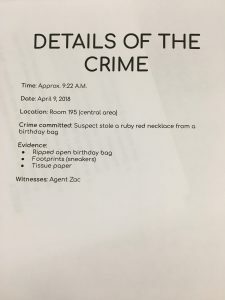 The crime was that Miss Smith’s birthday necklace was stolen! 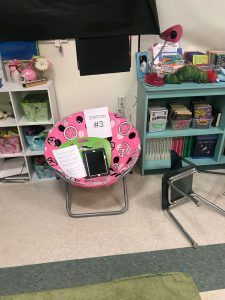 Special Agent Zac Efron needed the students help to find out who stole it and where he or she hid the necklace. 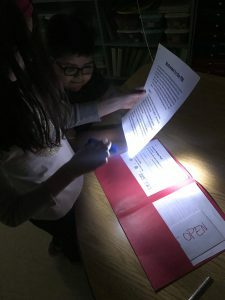 In the first half of the day, students worked through math activities and received a clue for completing the worksheet. 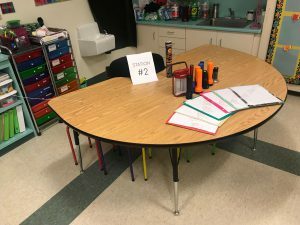 There were three clue stations, one for each completed worksheet. 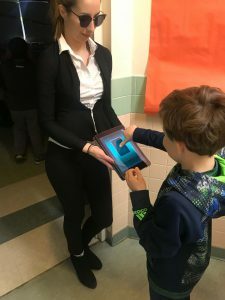 At each clue station, there was a locked iPad. 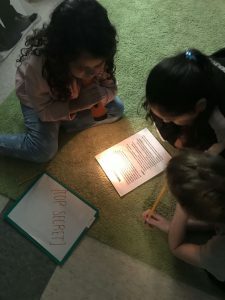 To crack the code, the students had to answer questions relating to the worksheet they had just completed. 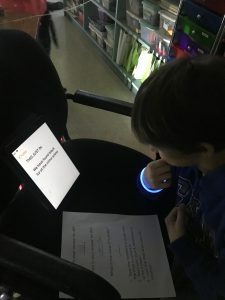 That means they needed to have the correct answers in order to unlock the iPad. 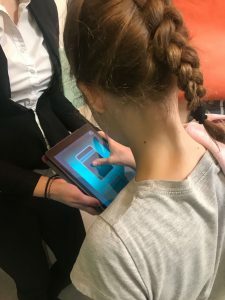 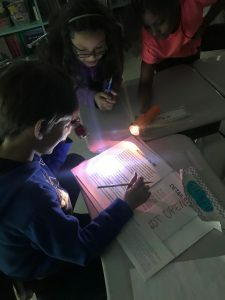 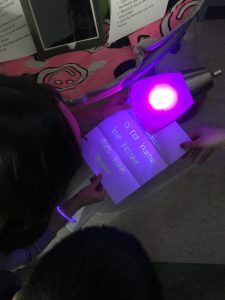 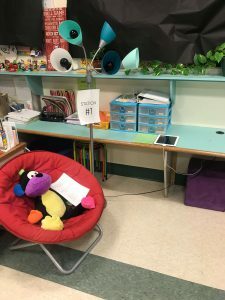 At the last clue station, after unlocking the iPad, the students were able to read a secret message on a piece of paper that can only appear under a black light. 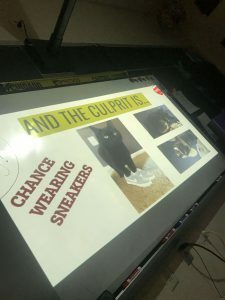 The last clue was, “The suspect is not human, but he/she does have thumbs.” The students immediately knew who the culprit was from this clue since they know that Miss Mackowsky’s black cat has thumbs! 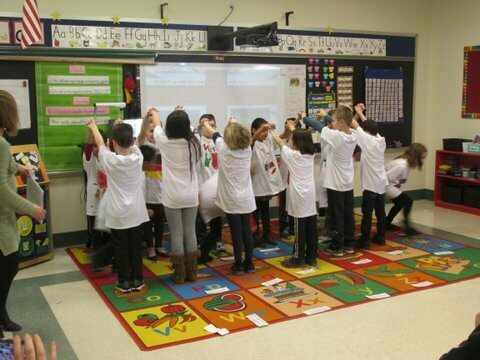 After finding out who stole the necklace, the next task was to find out where the necklace was hidden. 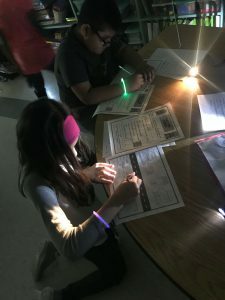 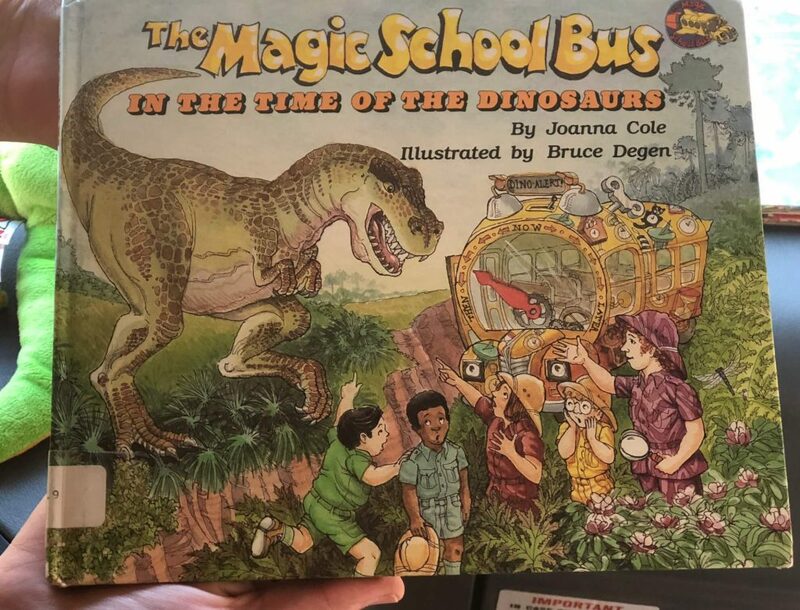 After lunch, the students worked through reading activities following the same concept as before. 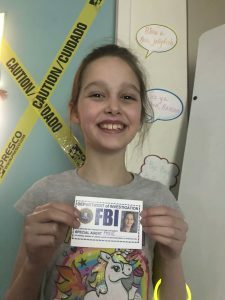 These clues helped find the necklace, which was found on top of a birthday cake made for Miss Smith! 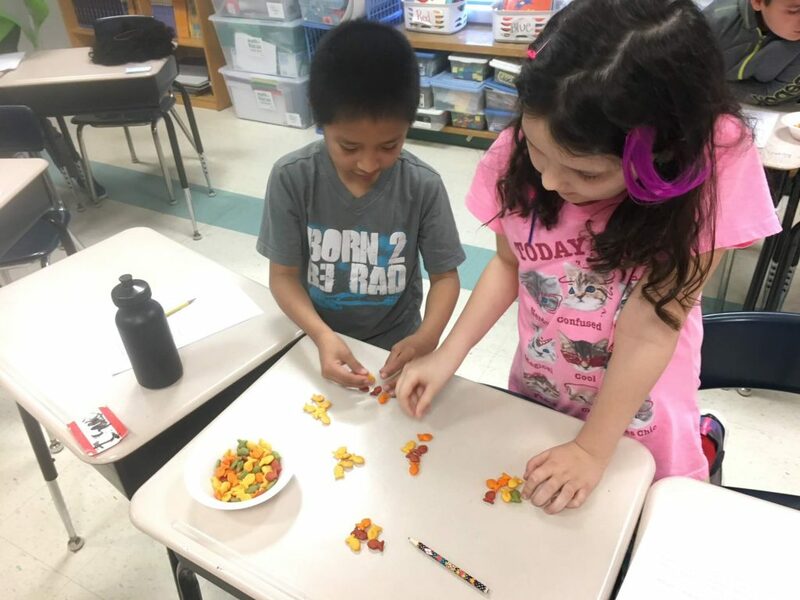 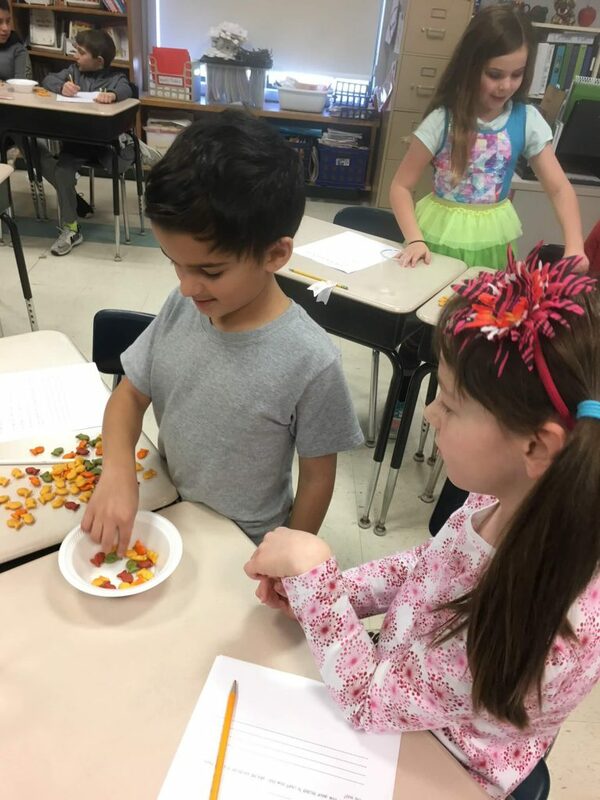 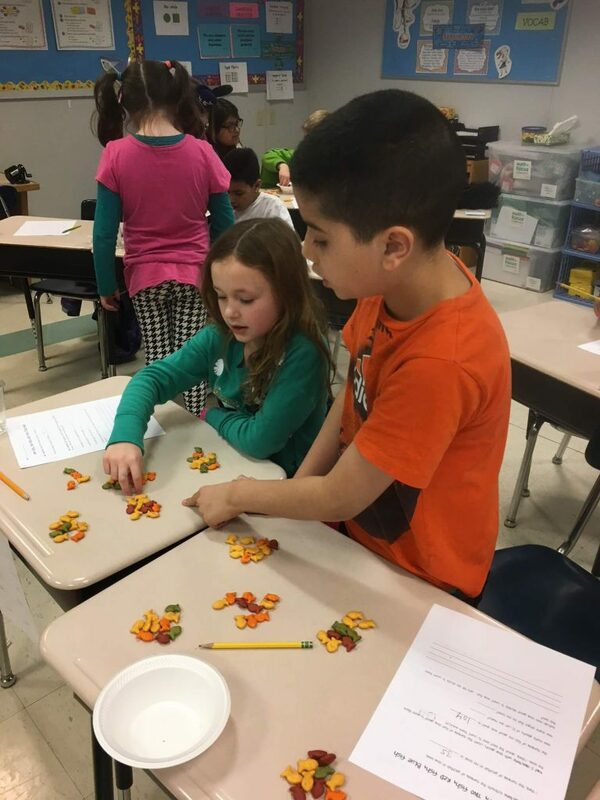 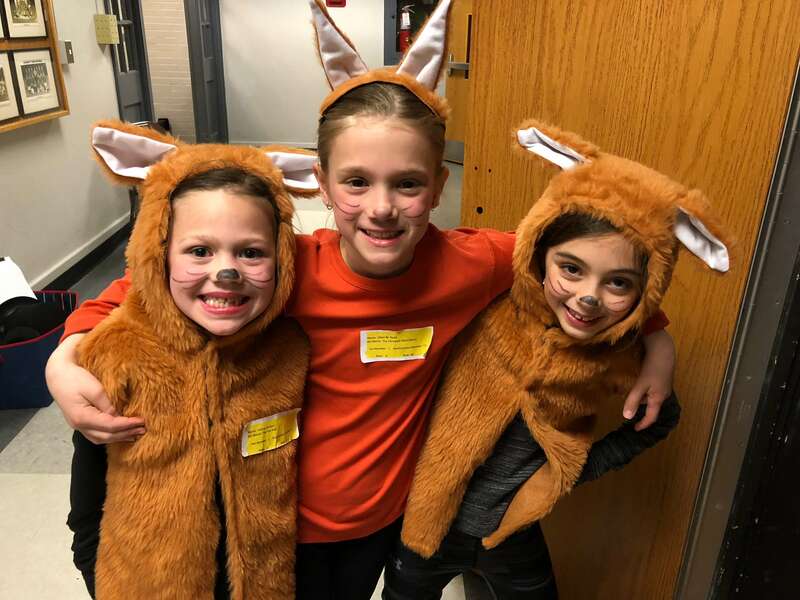 These super sleuth detectives had solved the case and celebrations were in order to show off their skills that they have mastered and that they were ready for the PSSAs! 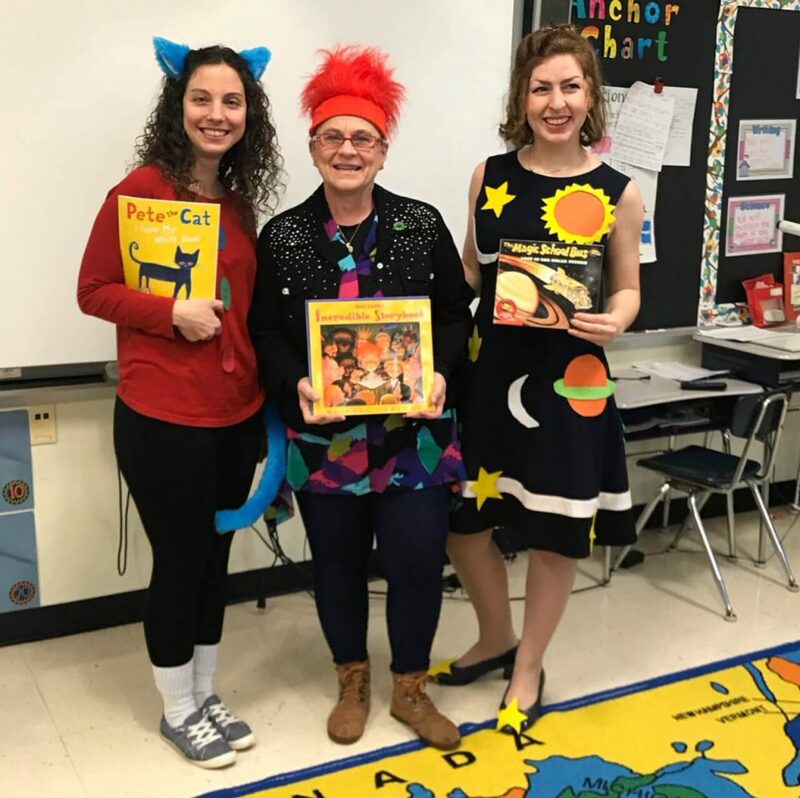 Storybook Character Day was the culmination to an exciting Read Across America Week at New Garden Elementary School. 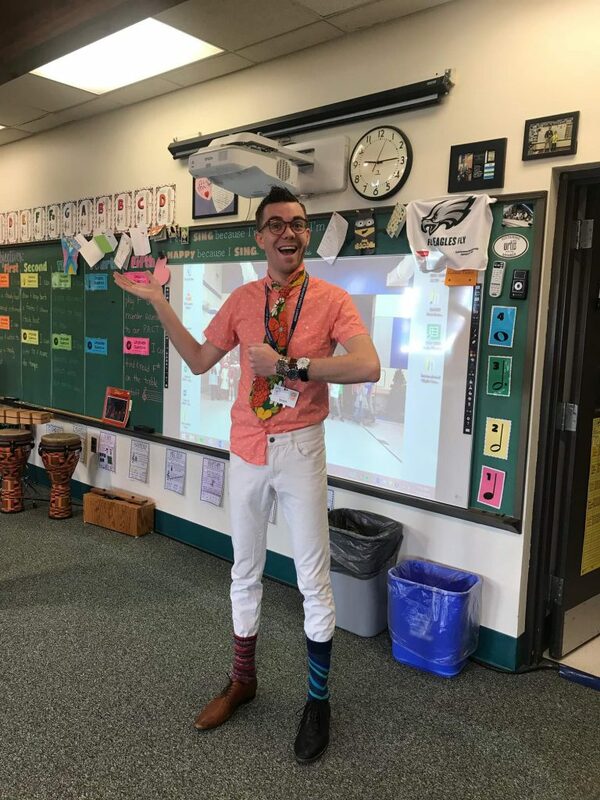 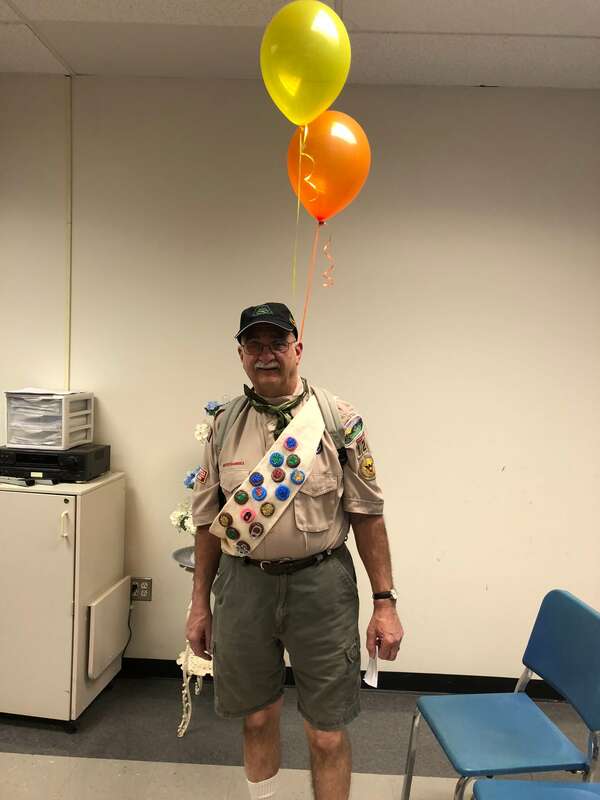 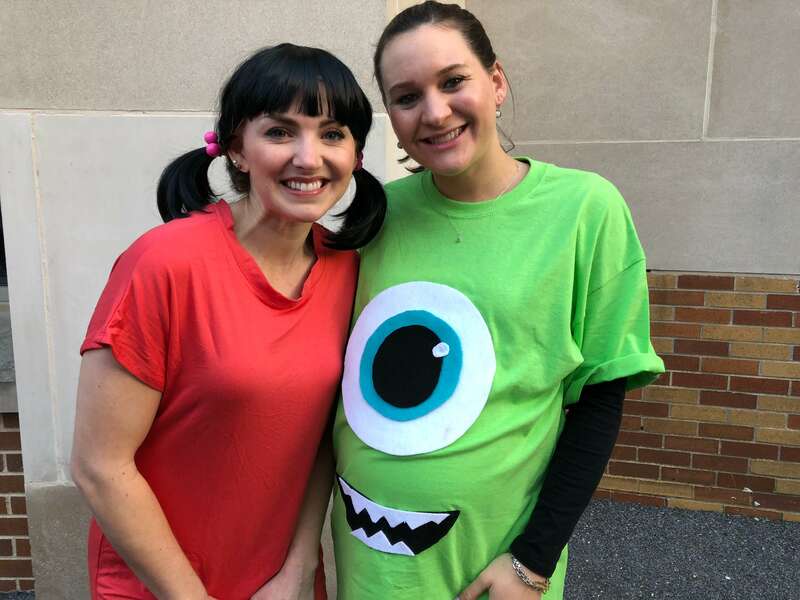 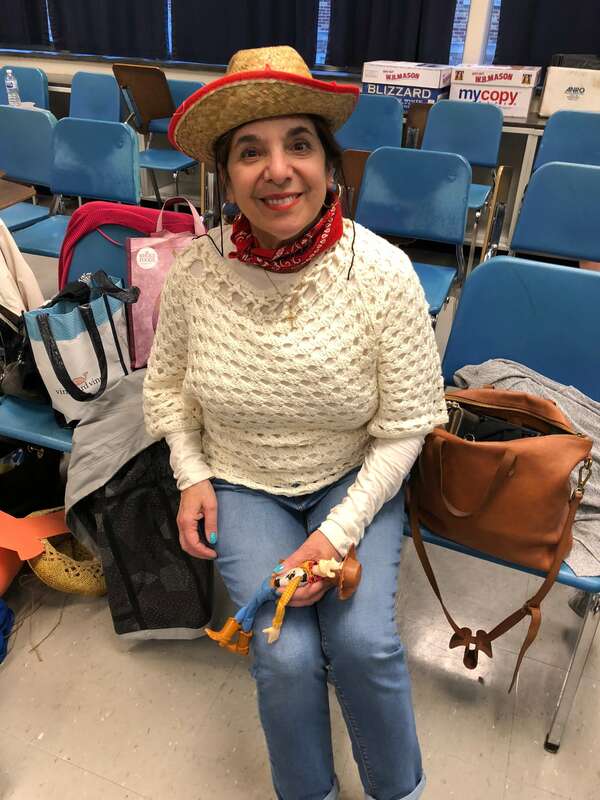 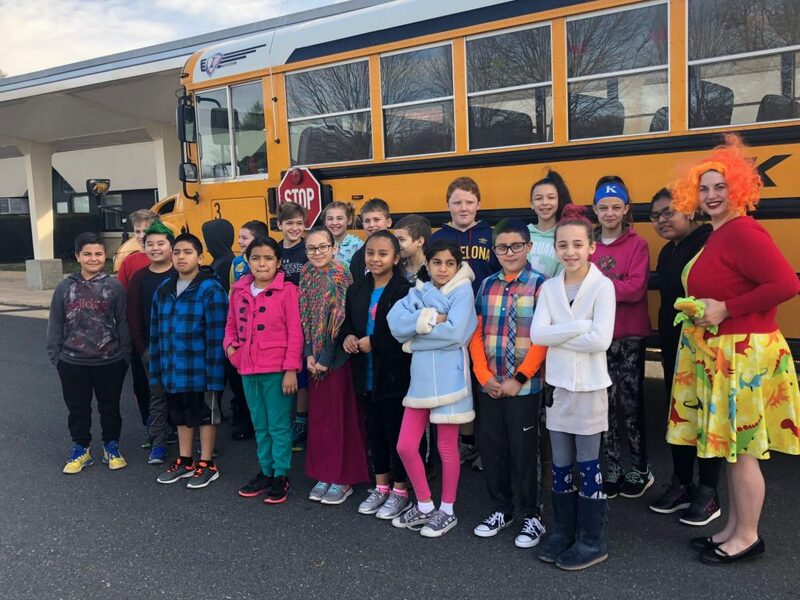 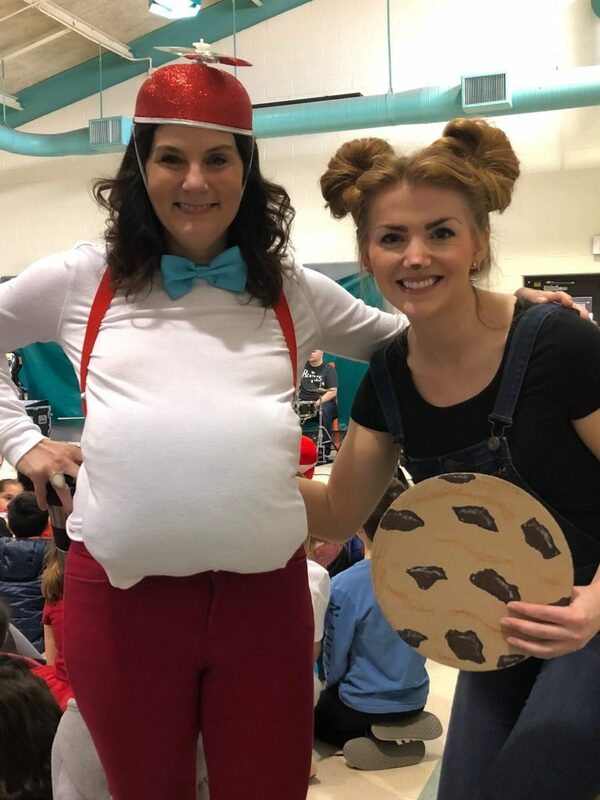 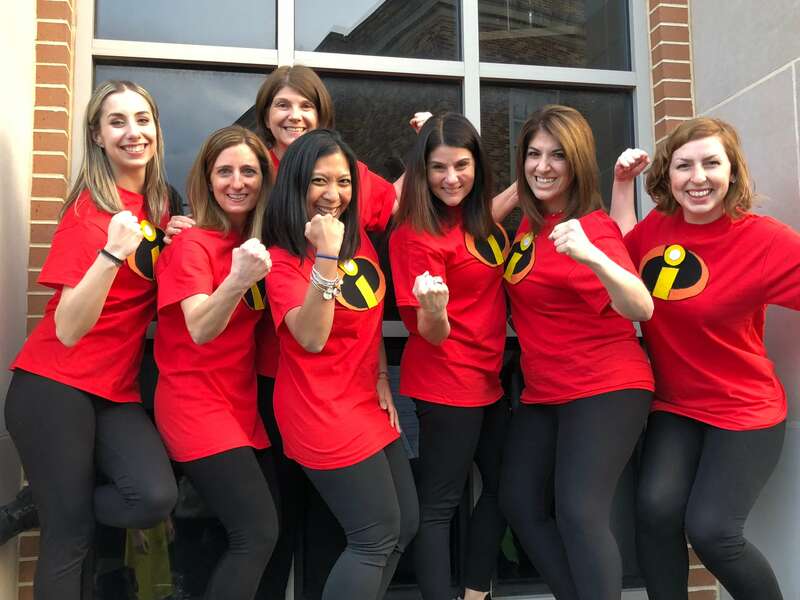 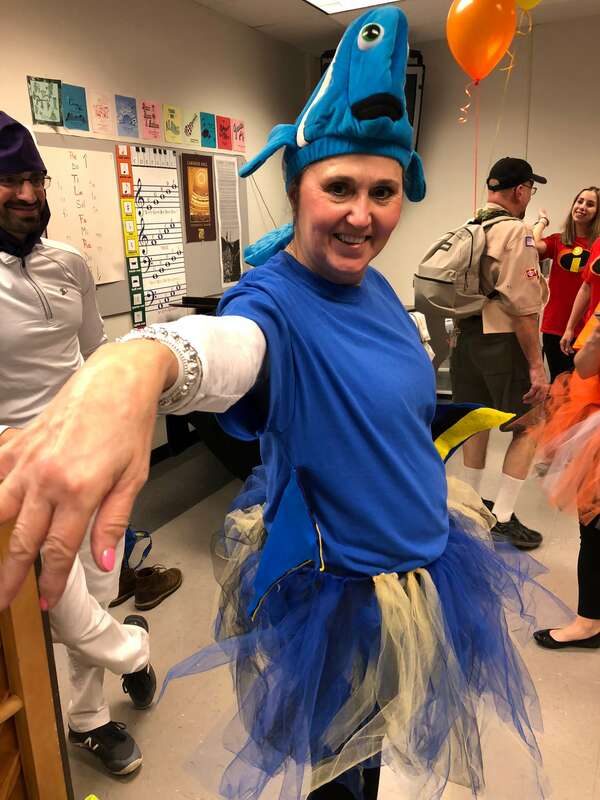 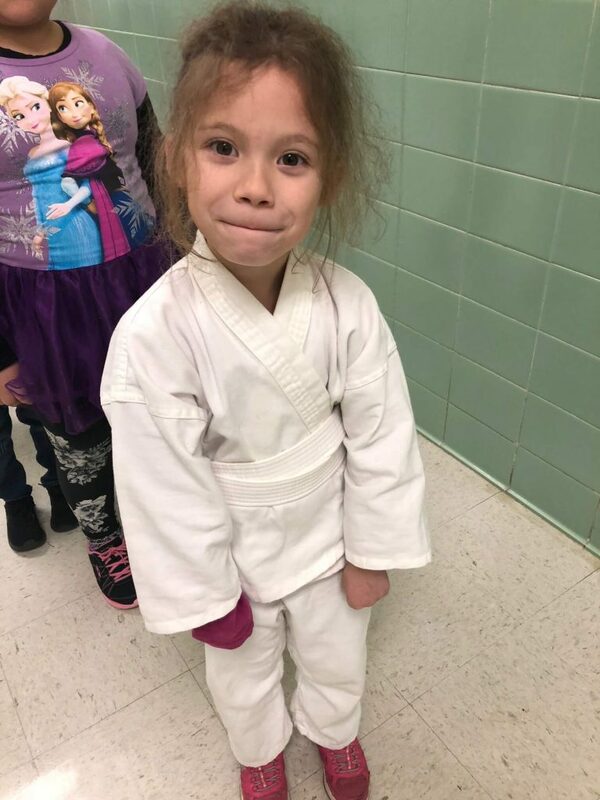 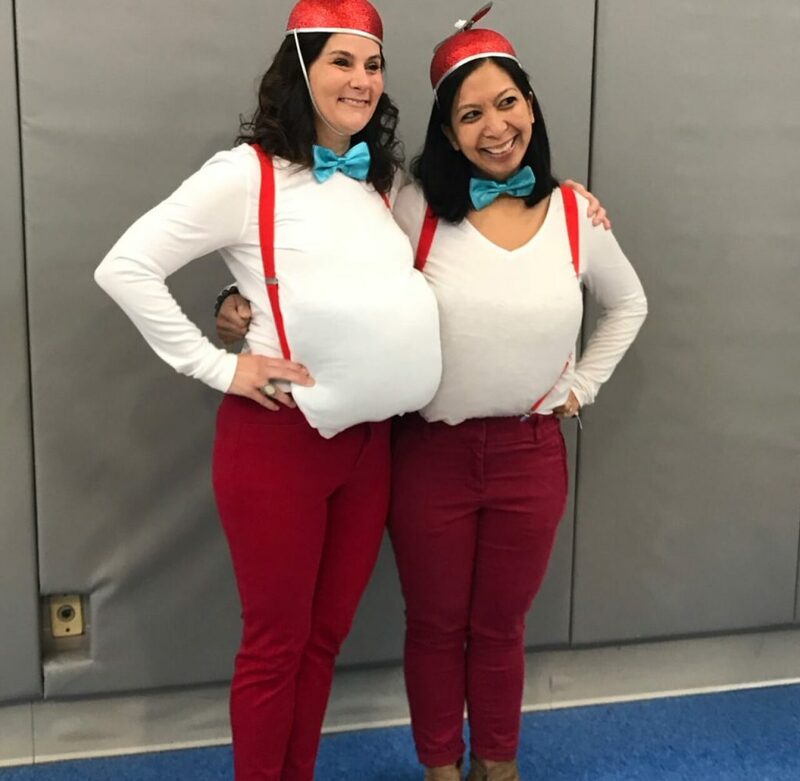 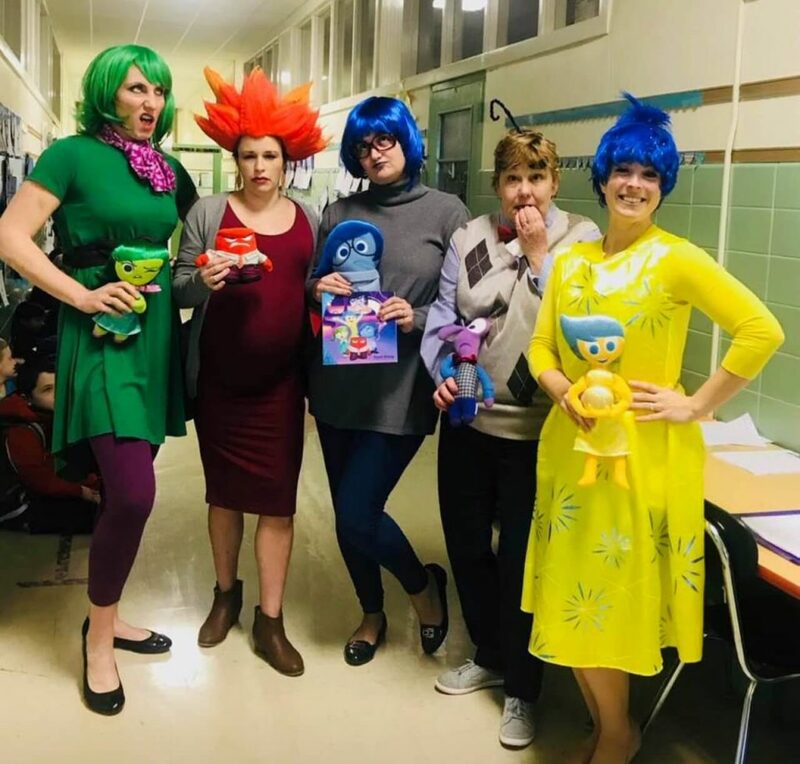 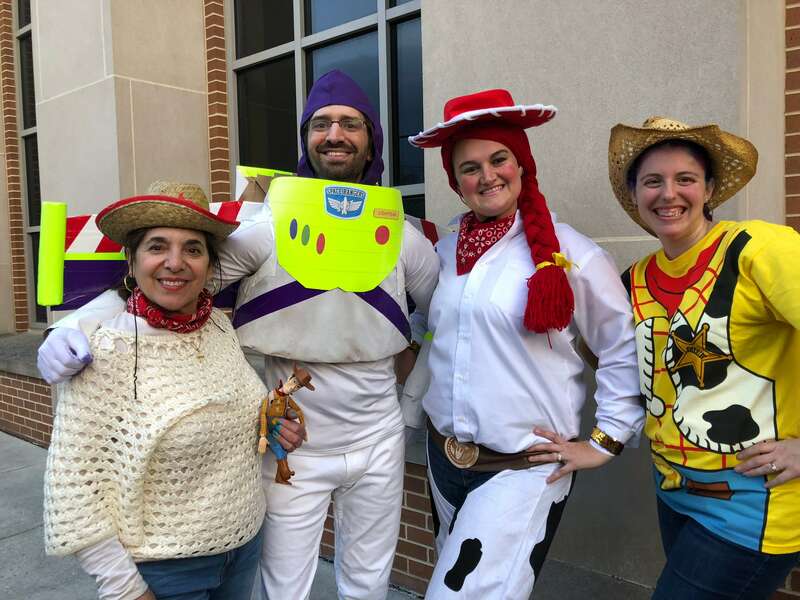 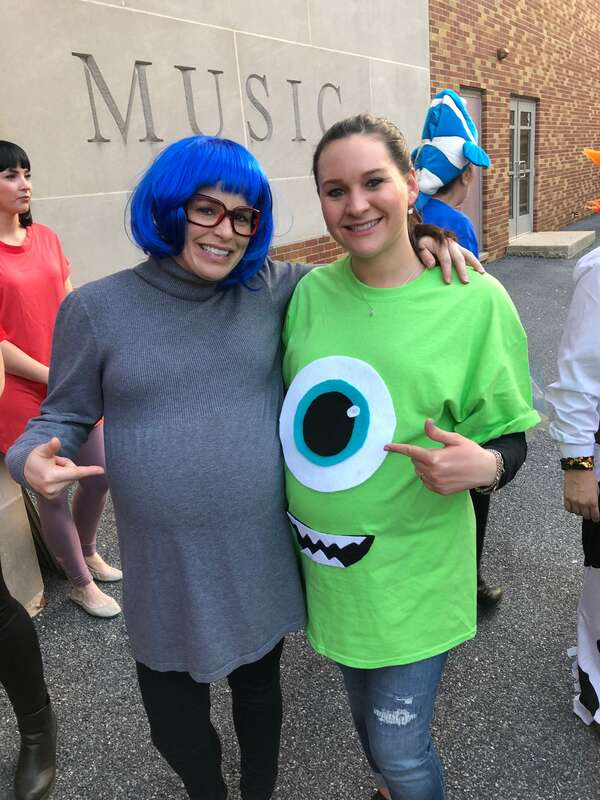 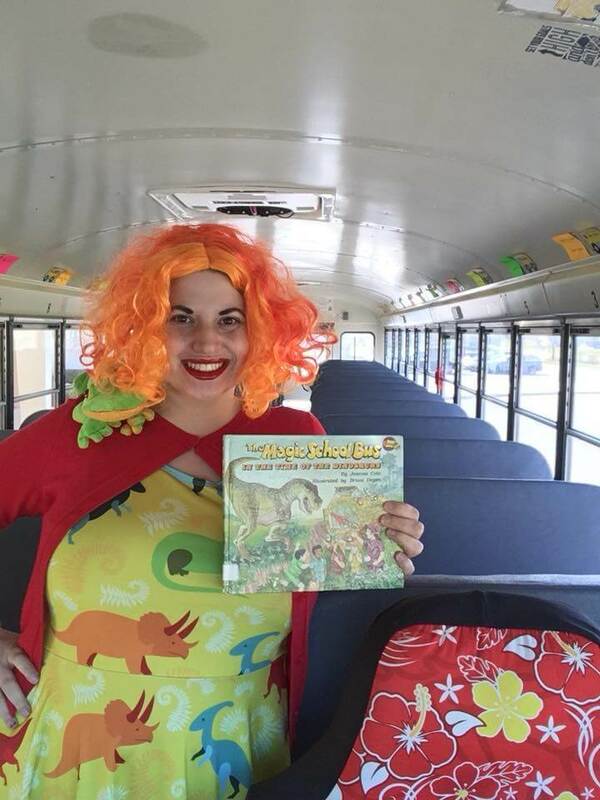 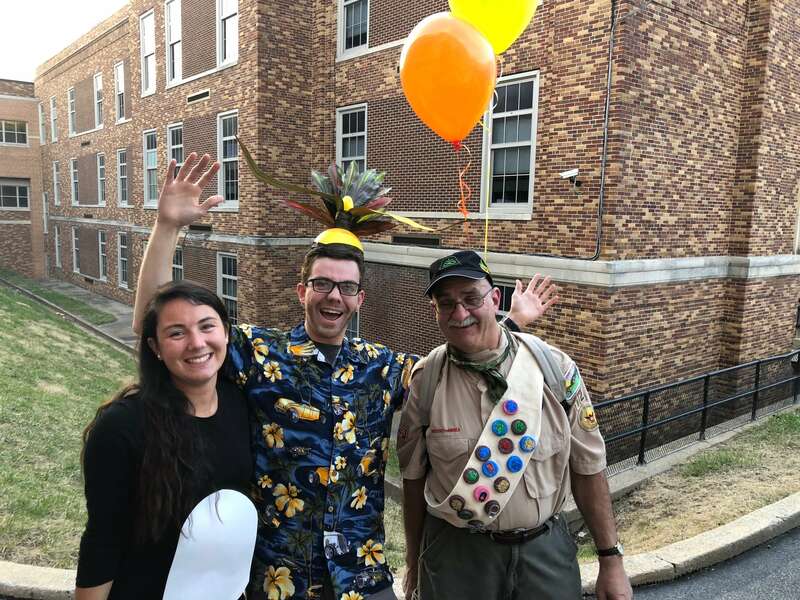 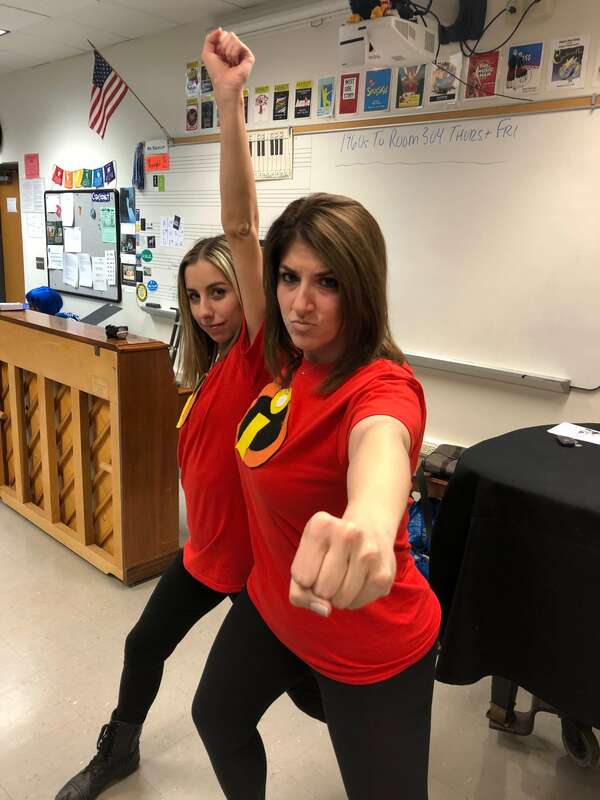 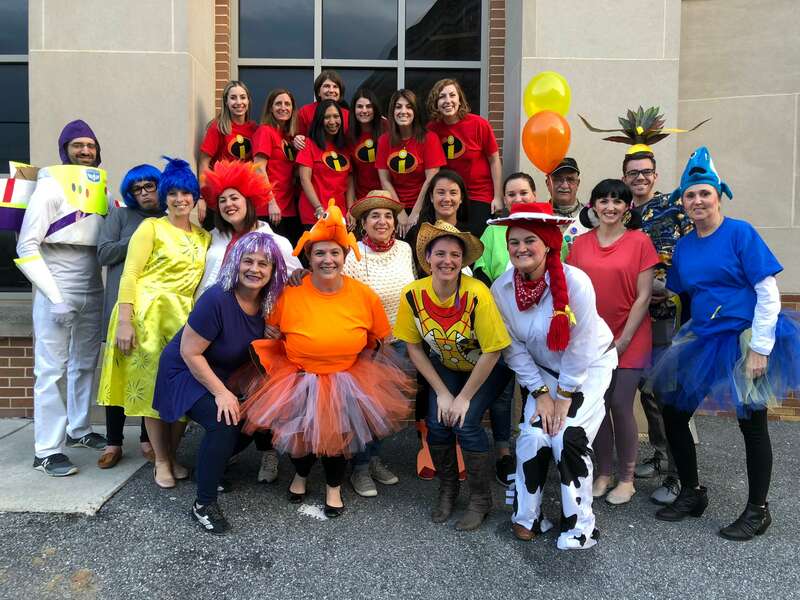 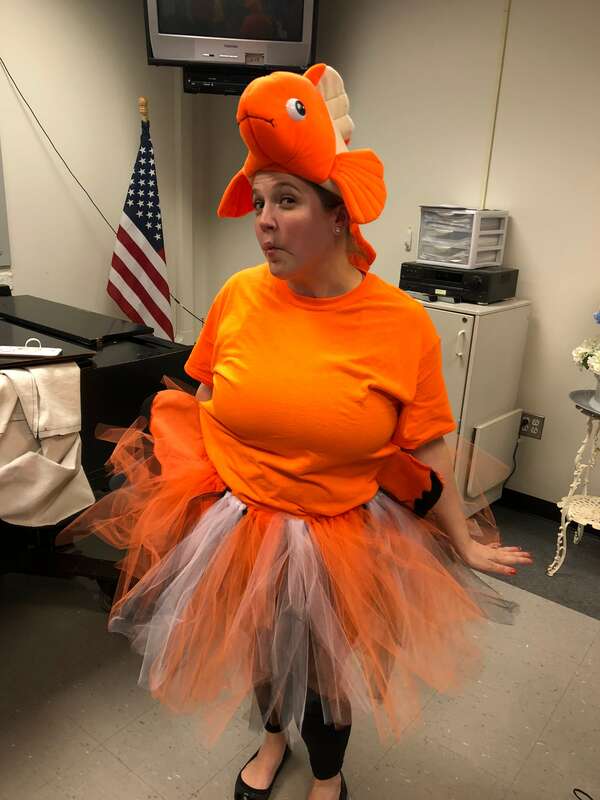 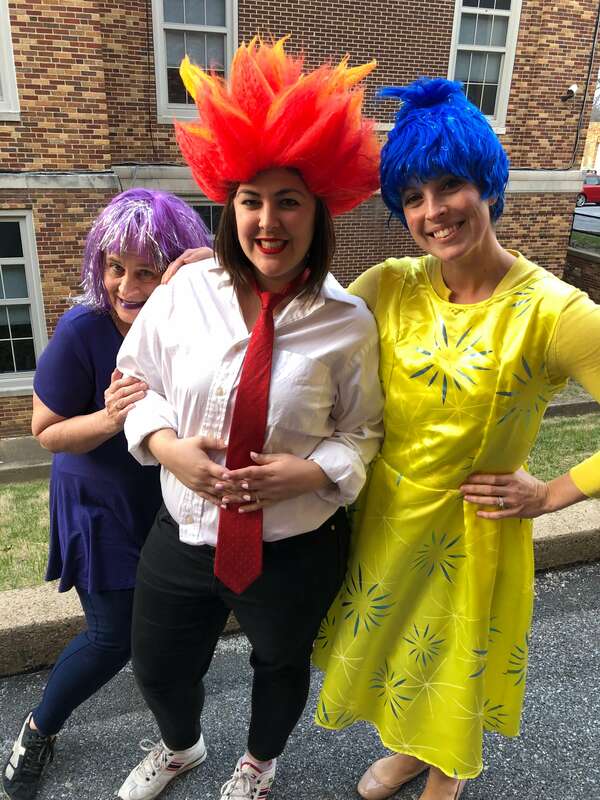 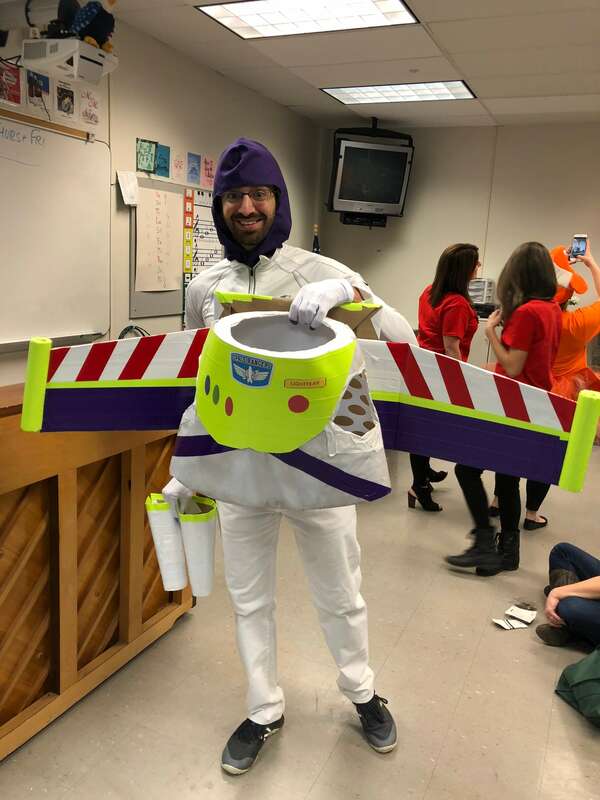 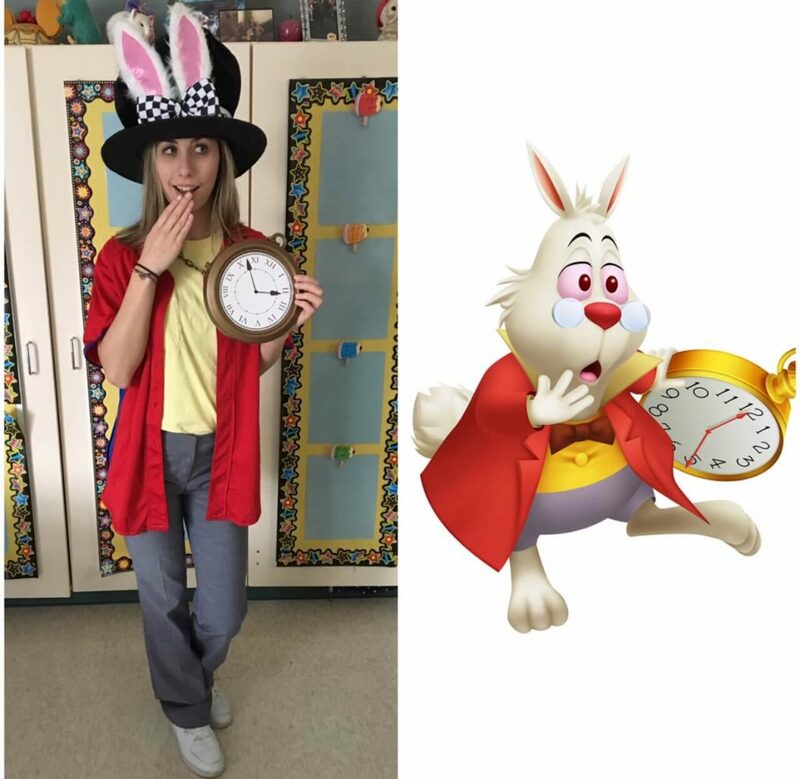 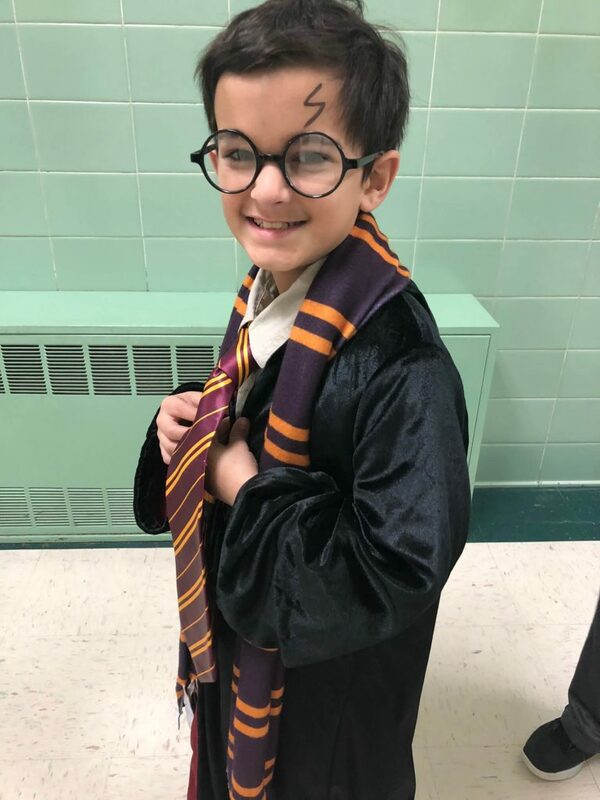 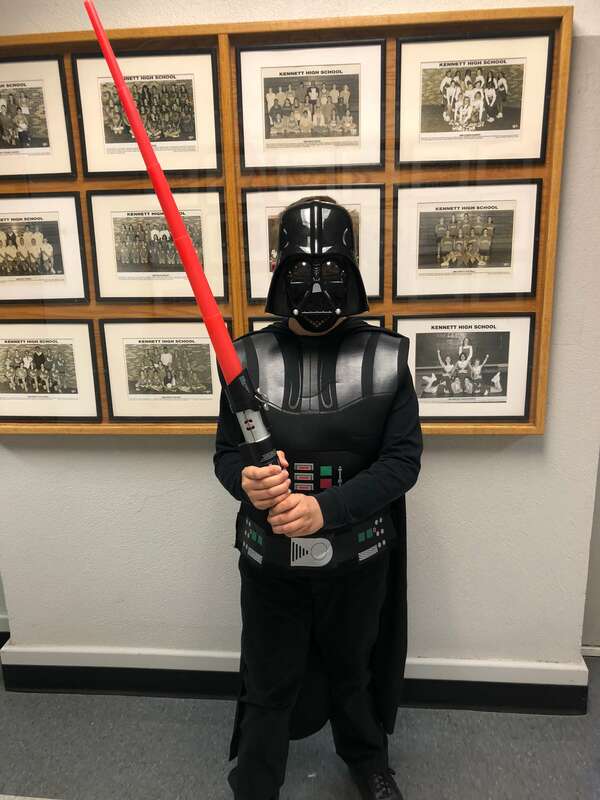 Throughout the week, students participated in a multitude of fun activities centered around literacy but Storybook Character Day was by far the students’ favorite. 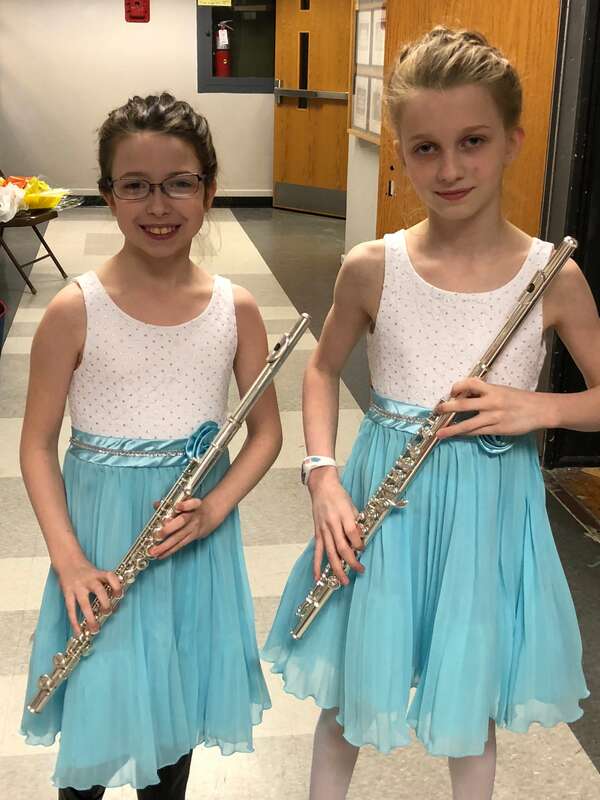 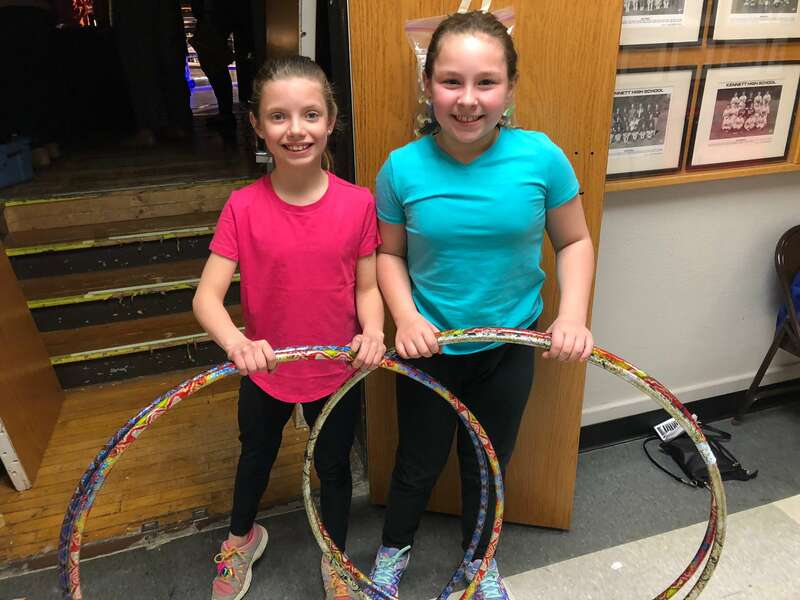 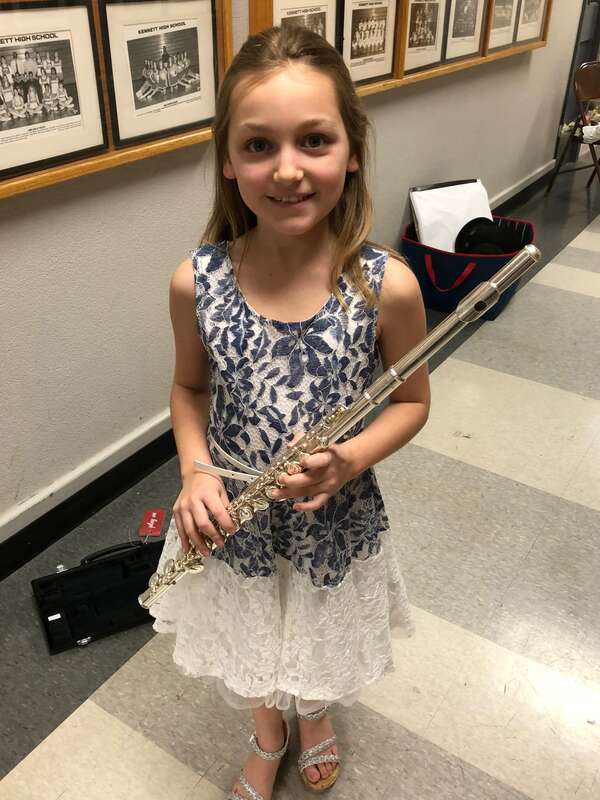 There’s awesome talent at New Garden Elementary School and this was clearly evident at the school’s annual talent show. 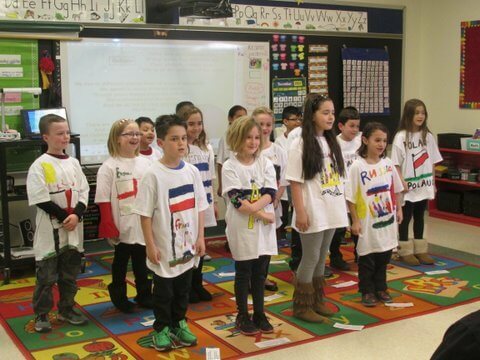 The staff kicked-off the show, and the subsequent acts showed our students’ diverse talents. 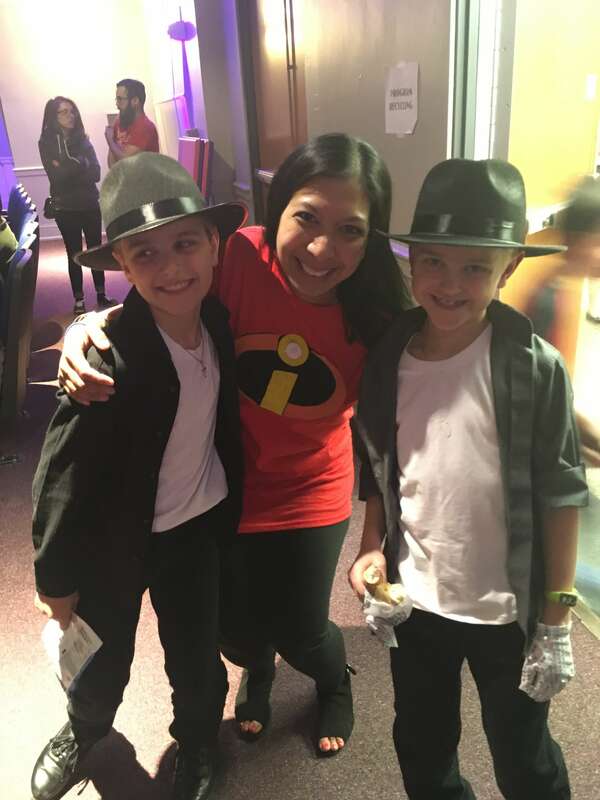 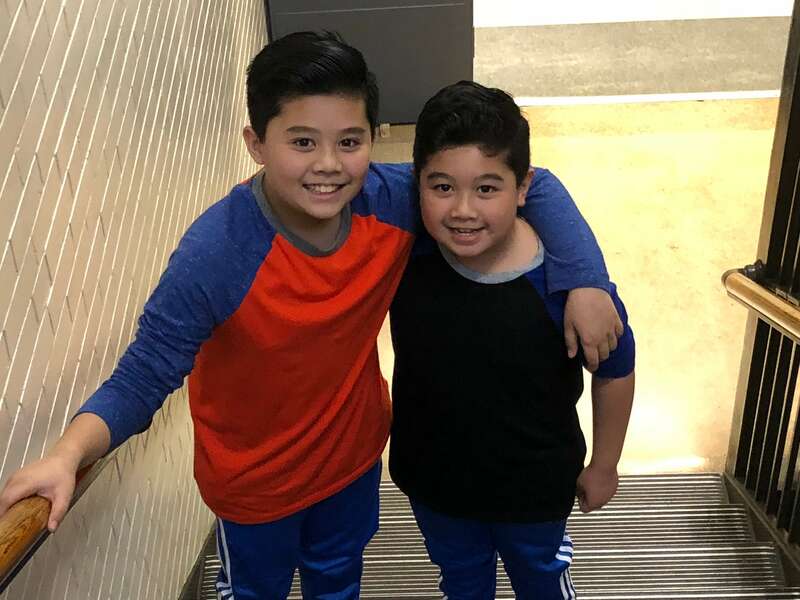 Some students danced to Bruno Mars/Cardi B and Michael Jackson, while others played piano solos and showed off their jazz tap ballet skills. 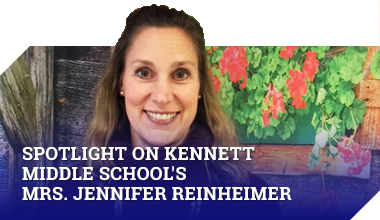 It was a fantastic Friday night at Kennett High School. 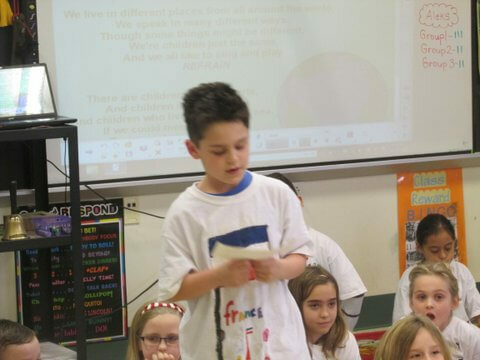 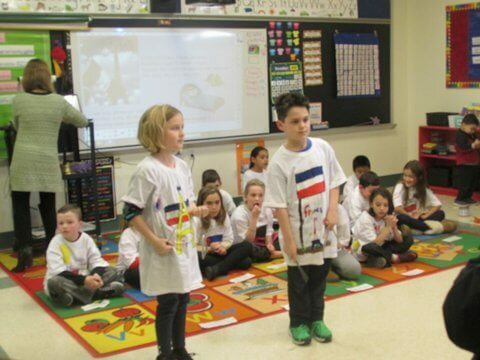 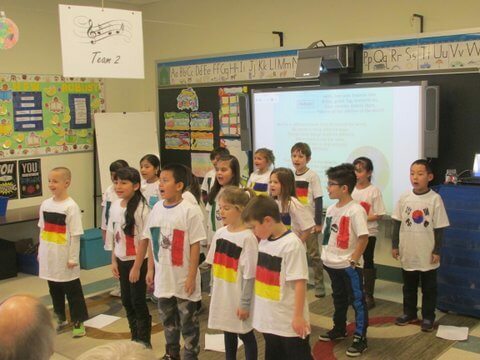 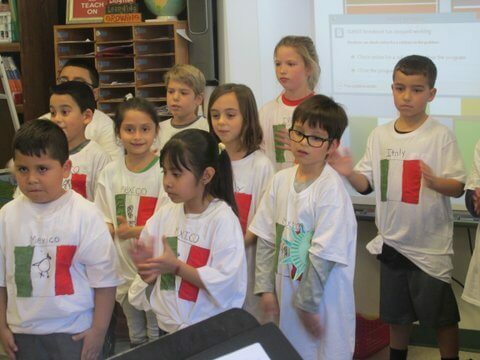 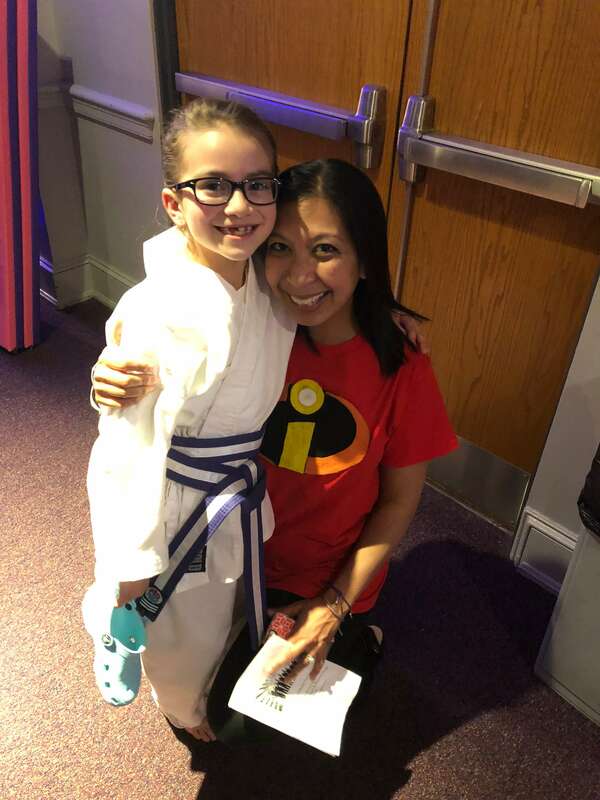 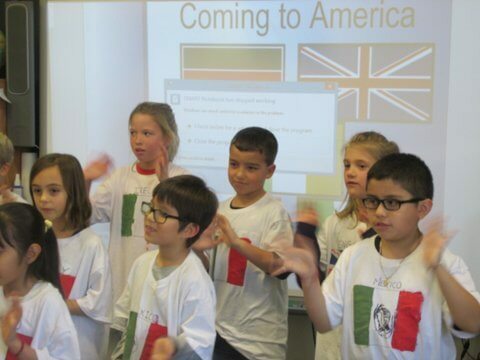 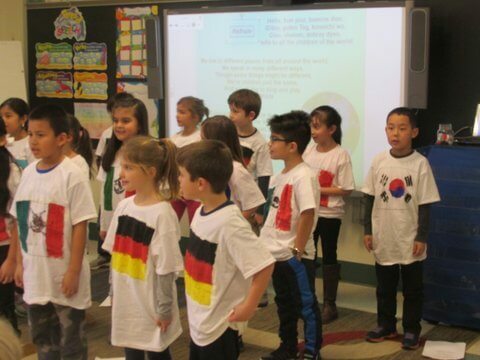 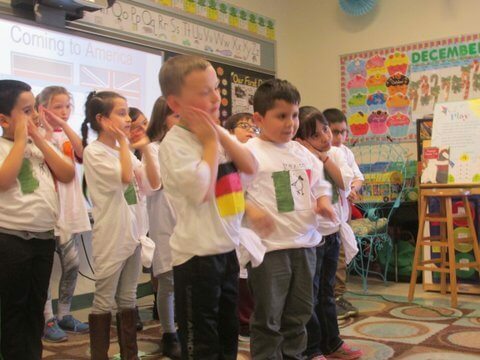 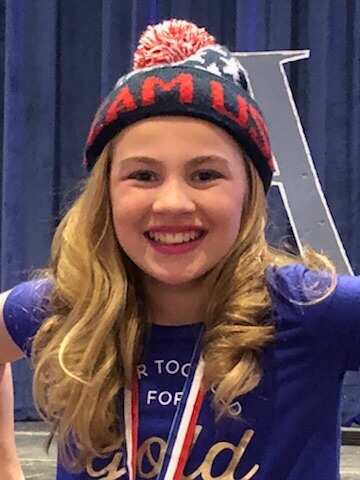 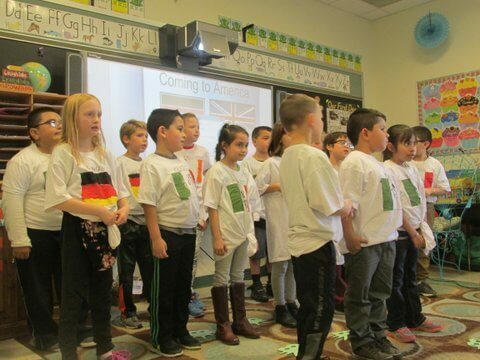 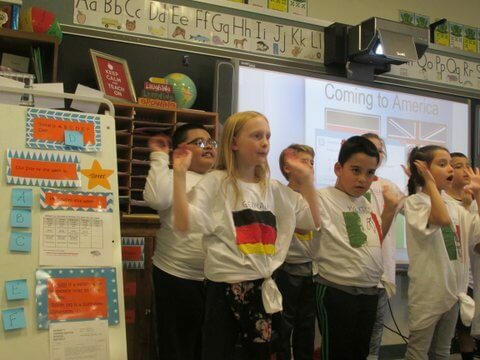 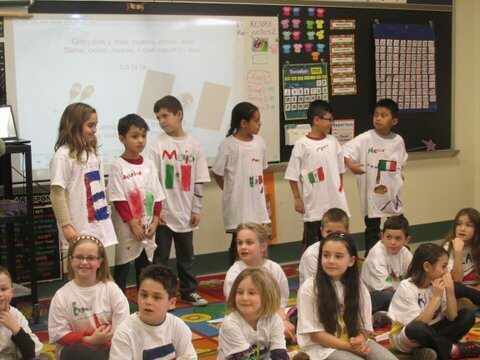 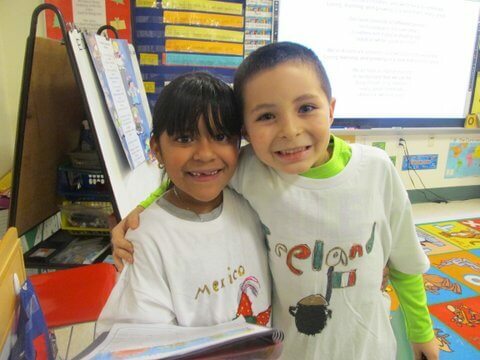 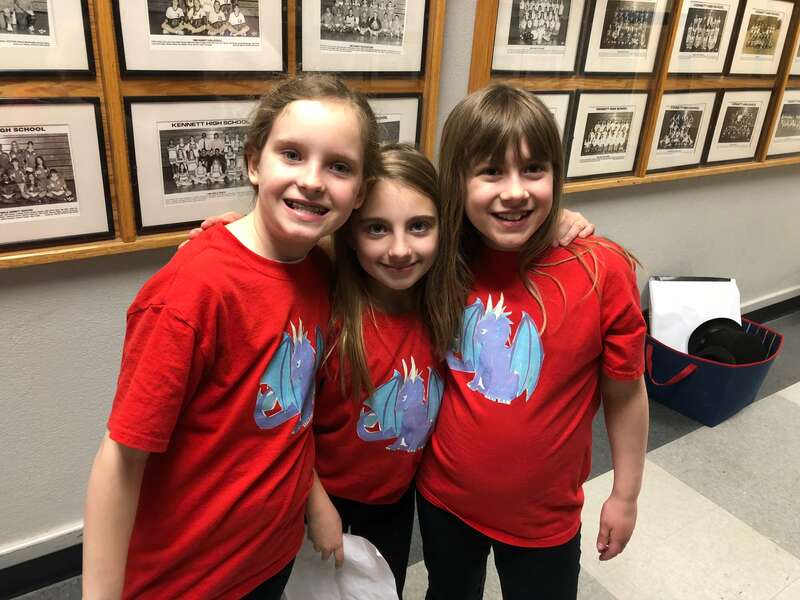 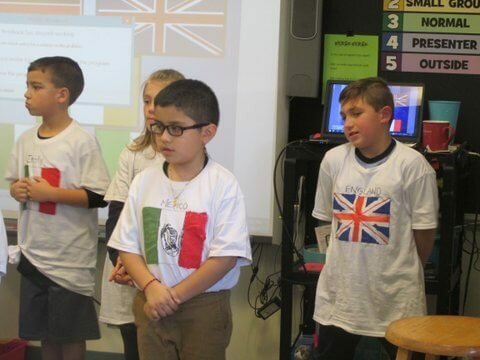 Dressed in t-shirts adorned with international flags and symbols, New Garden Elementary School’s second grade students presented songs, reports, and brochures reflecting their study of Coming to America. 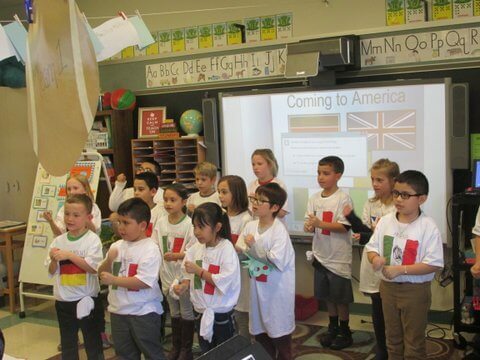 It was a month devoted to a study of foreign countries and the life-changing journeys of immigrants coming to America. 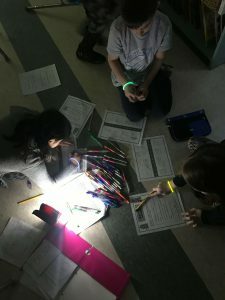 With a focus on non-fiction text, the students secured interesting facts and data and shared this information through reports and brochures. 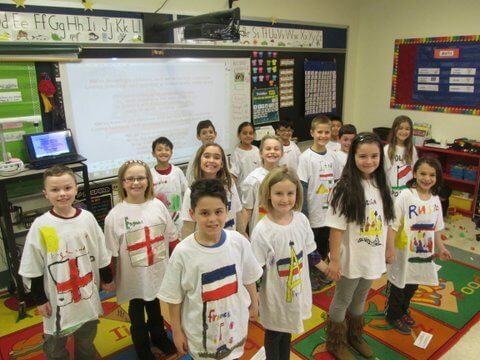 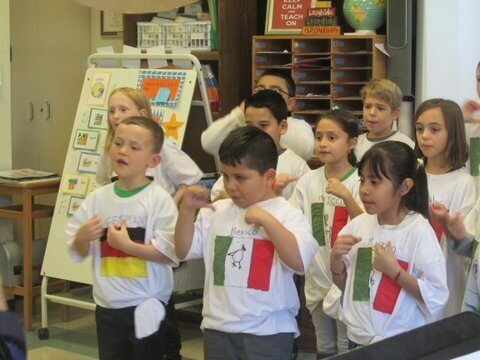 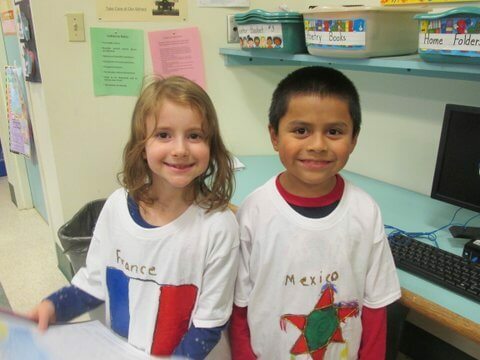 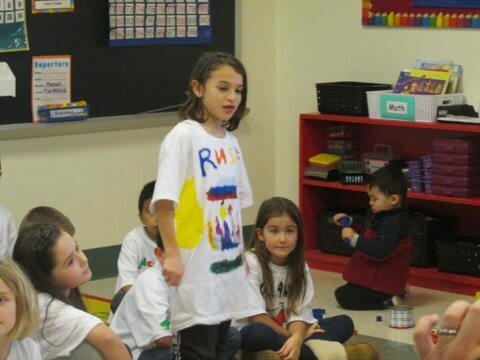 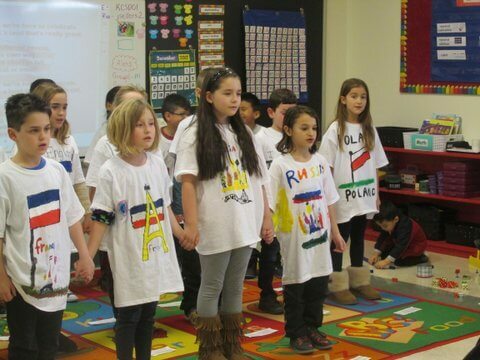 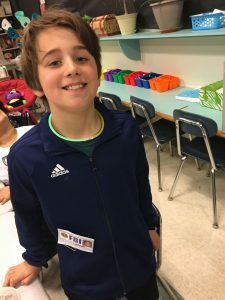 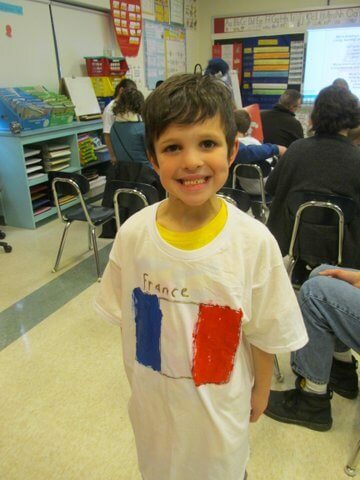 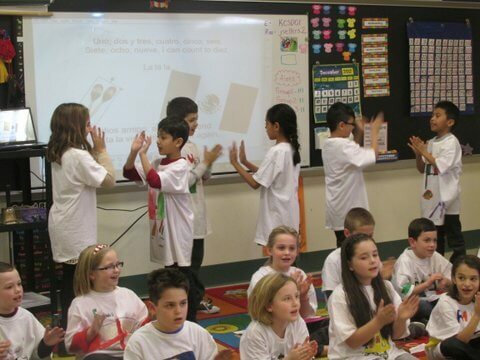 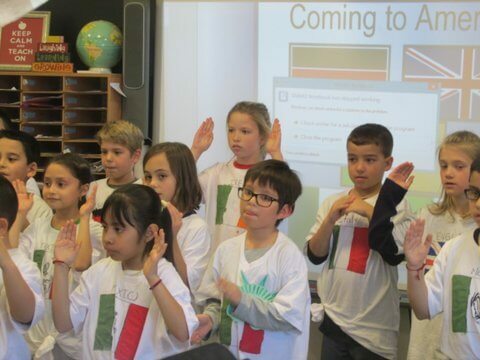 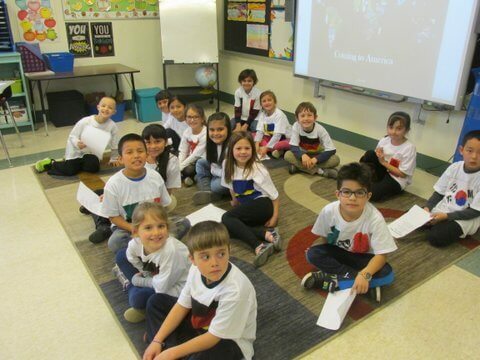 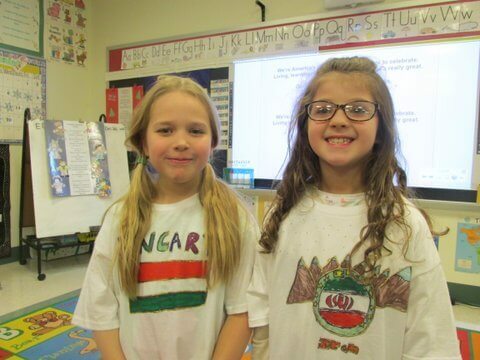 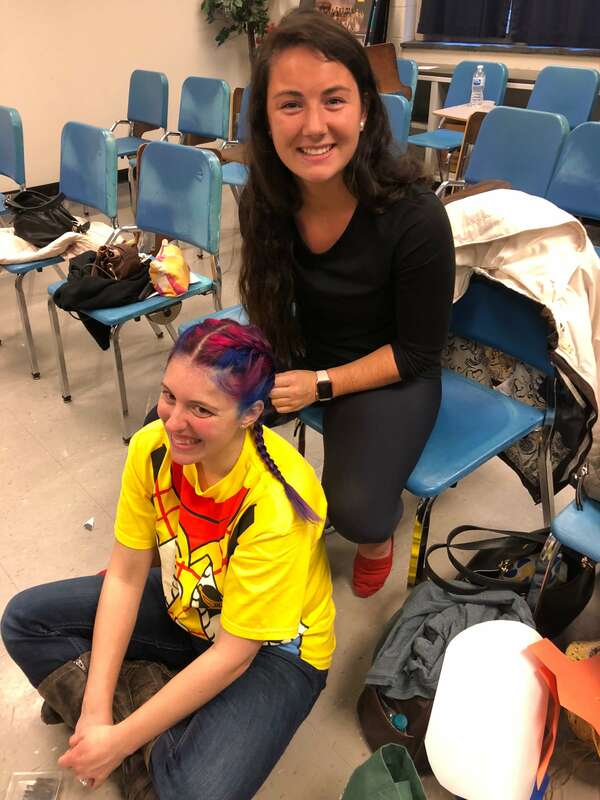 During music classes, the children practiced a variety of songs from the countries they studied, and, with the help of parent volunteers, painted white t-shirts with the flags of many different lands. 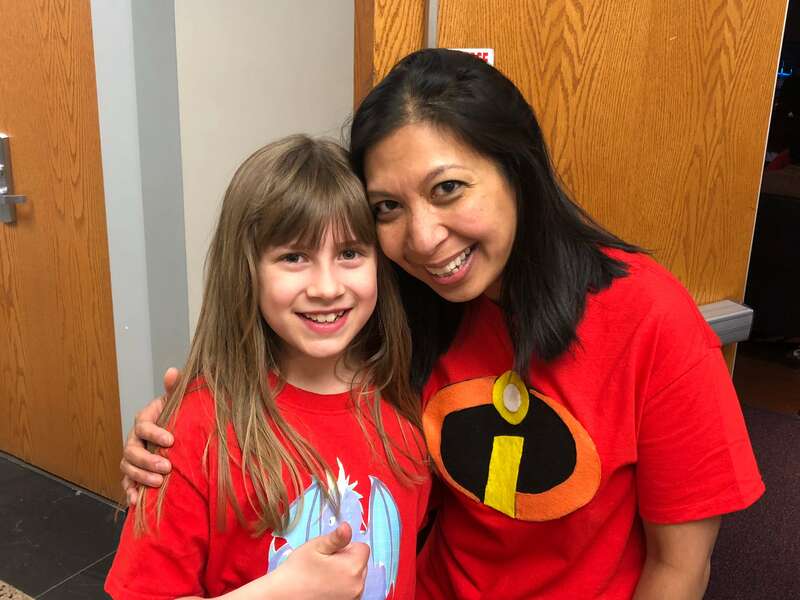 The culminating activity was a presentation for parents followed by ever popular snacks. 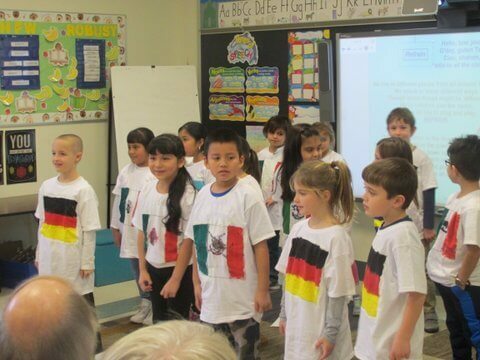 The multi-generational smiles throughout each classroom were a fine tribute to a job well done!